Coriander berry CO2 extract from Poland. Species: Coriandrum sativum L. Family: Apiaceae (Umbelliferae). Class: Monoterpenol. 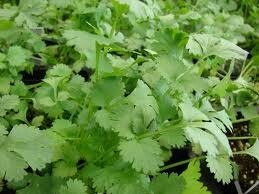 Extra high quality coriander. Coriander CO2 Select. Complex but sweet aroma. Coriander: A Bacteria Busting Oil Behind a Popular Spice.